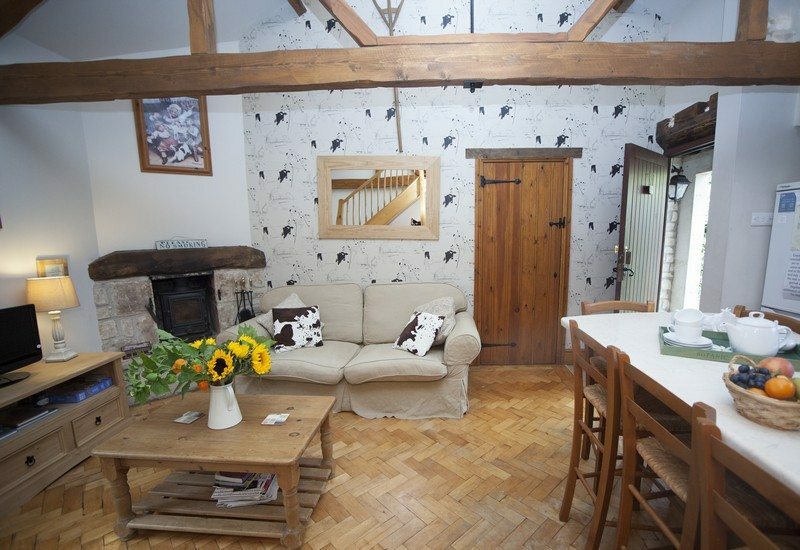 Beeches Farmhouse accommodation in Bradford on Avon near Bath, has double / twin and family rooms all except one in detached converted farm buildings, each having their own front door key and own patio area, giving you the independence to come and go as you please. All rooms have full en-suite facilities including bath and shower and are decorated to a very high standard with exposed beams, stripped wooden floors and country pine furnishings. All double beds are a minimum of 5 foot with the majority being 6 foot. Also rooms have colour TV, radio alarms, tea and coffee making facilities, mineral water, fresh fruit and flowers. There is a fridge available to chill your wine/beer whilst you are out during the day, so that you can return and relax enjoying the ambience of your own lit patio late into the evening (wine glasses and corkscrew are all provided). 5 bedrooms, all with en-suite facilities. Two with walk-in showers. Fridge – chill your own wine / beer – glasses & corkscrews provided! Beeches Farmhouse is proud to have been awarded a certificate of excellence for the last 5 years running! Click on the image to view how the accommodation at Beeches Farmhouse is set out! We also have holiday cottages available for those looking for self catering accommodation in Bradford on Avon, or Bath. Beeches Farmhouse and Self Catering Cottages are ideally located for exploring the area.